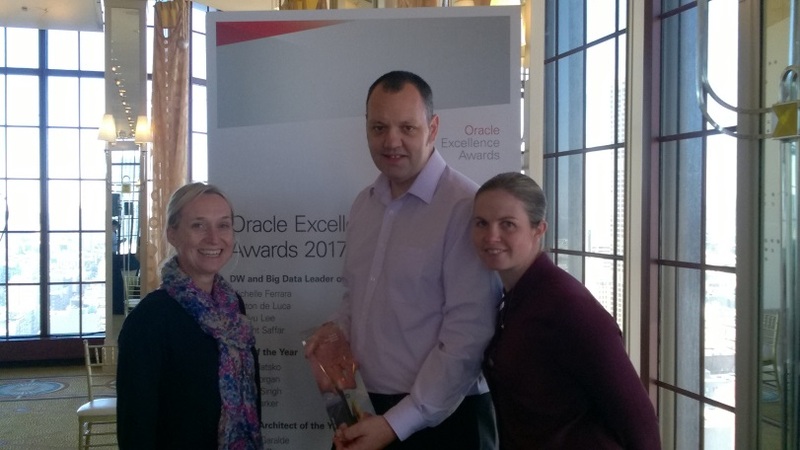 The NHS Business Services Authority (NHSBSA) has been internationally recognised for its database administration and its work on helping the NHS to improve patient care, winning two Oracle awards - the Excellence Award for Data Management Innovation 2017 and the Database Administrator of the Year (Europe, Middle East and Africa) 2017 Award. The awards acknowledge our skills in database administration and the creation of a secure Data Analytics Learning Laboratory (DALL) to consolidate data, identify trends and offer insight to help the NHS and other clients make better-informed treatment decisions for patients. The DALL combines a huge range of prescription data to identify potential new efficiencies and spot trends which can help detect fraud and error. In fact, insight offered through the DALL has already helped create £581 million of savings for the NHS to re-invest in patient care. Nominations for the NHSBSA came from all sectors and NHSBSA representatives attended the Oracle OpenWorld Conference in San Francisco to collect the award in person. They also presented their work to the tens of thousands of international attendees at the event, with the aim of sharing their knowledge and experience while learning as much as possible about industry trends and breakthroughs.